There have been two “first flights” in my life. These weren’t first flights in the sense of first solo, first glider flight, or first balloon flight, although such milestones were memorable each in its own way. Rather, these were moments when I discovered, fresh and new, the pure joy and freedom of flight. The first of those experiences occurred in a banking turn, flying a Cessna 150 over the cracked ice and windblown snow of Lake Mendota, near Madison, Wisconsin. I don’t remember if it was as a solo student or new private pilot — it doesn’t matter — but at that instant I escaped for the first time the nagging traumas of becoming a pilot and the consuming minutia of doing what pilots must do to remain aloft. Instead of fearing the terrain as a threat to be avoided, I noted with fascination sailing iceboats and fishing tents among which I’d skated between college classes in the winter. While skating I’d experienced the fast-moving iceboats only as flashes of color passing me by. From the air, however, I could see their forward progress across the lake, and the paths left by their runners for miles behind. The pressure ridges that blocked my progress when skating could now be seen in their entirety — cracked and buckling they formed huge rational patterns stretching for miles like spider webs across the lake. I soared and gazed, soared and gazed, and knew that day for the first time that I’d achieved the ranks of birdmen and would never be cured. My second “first flight” occurred on a warm autumn day just short of 30 years later — three weeks and two days after twisted souls hurled peaceful airplanes against skyscrapers. At first the grounding of all things flying seemed appropriate, in homage to those who had died and revulsion to the dark twist taken during the normally beautiful act of flight. 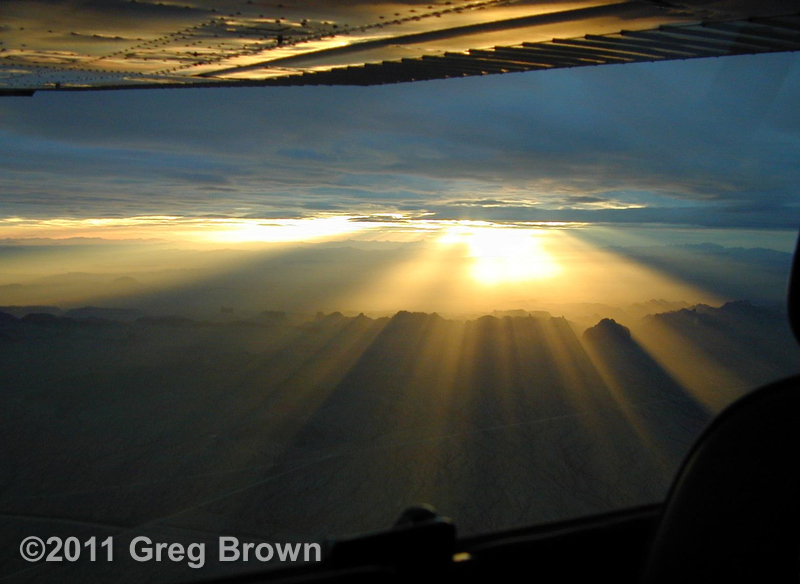 Continue reading “New Beginnings: a pilot returns to flight after the terrorist attacks,” here.